Anyone can join. 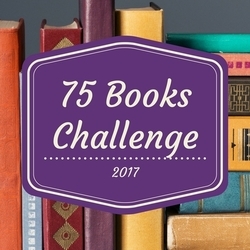 Just start a thread and begin listing the books you have read in 2017. You don't have to begin on January 1! Last year, some members just listed their titles and authors while others posted a mini-review of each book. It's all up to you. It turns out we care less about the numbers than we do about the exchange of book info and the community of readers. - 75er's Wiki - Here’s where we keep links to our important threads! - 2017 Threadbook - Looking for someone’s thread? Try here!